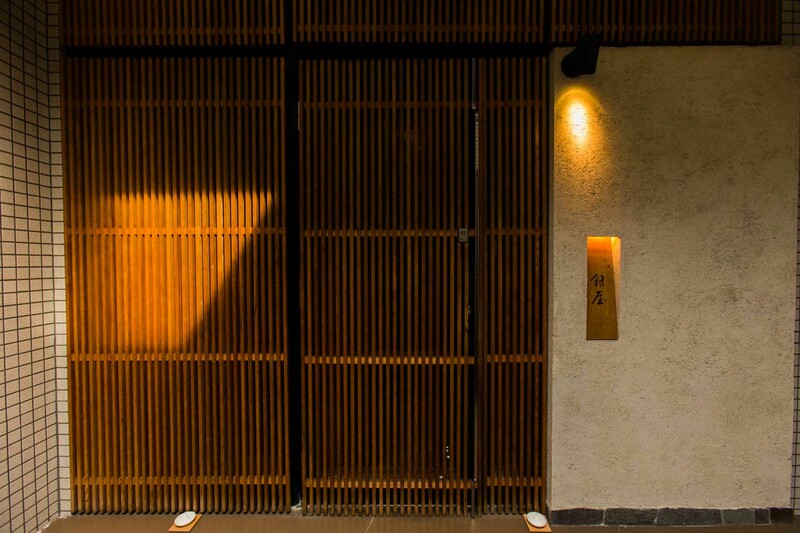 A visit to Tempura Ginya is to witness the aesthetics of minimalism and to be thoroughly moved by the cuisine that creates. 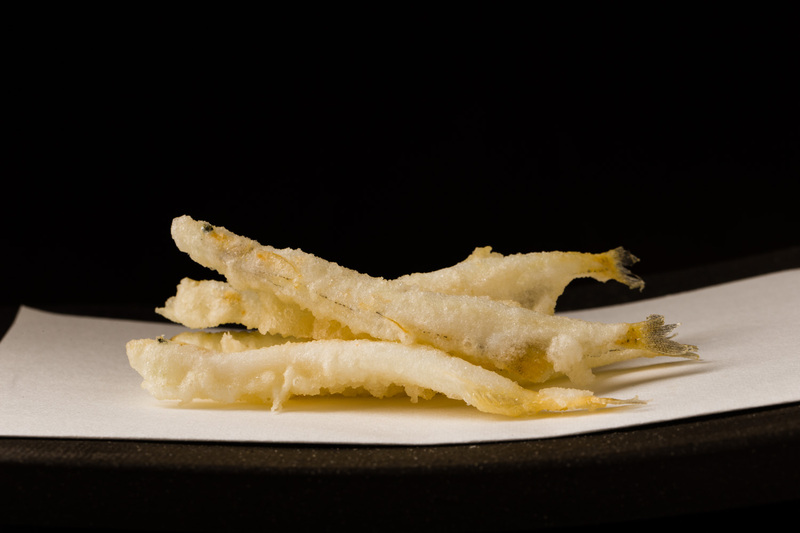 The crisp, warming flavors of tempura are the medium through which to enjoy all the elements that together compose the art of traditional Japanese cuisine. 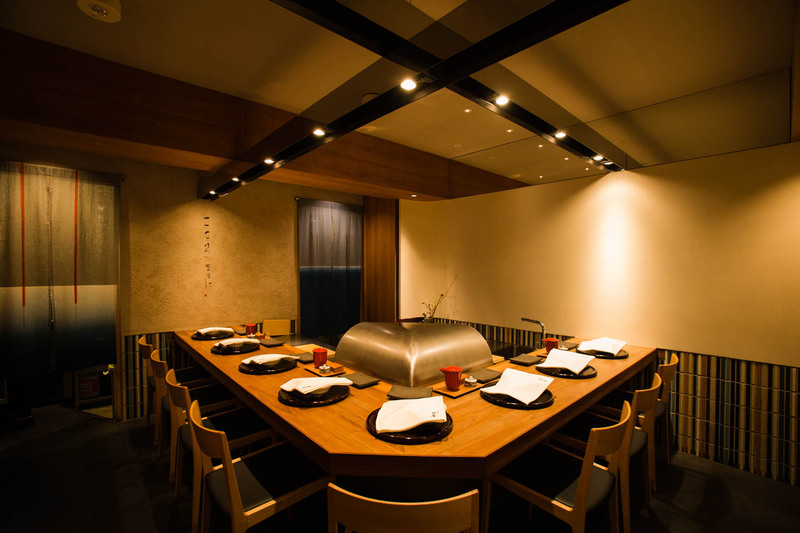 A beautifully warm hidden location run by a husband and wife team who take their ingredients very seriously, the flavors of which are perfectly highlighted by the chef whose touch may be the best of all the tempura chefs in Japan. Tempura Ginya sits in a quiet residential neighborhood just one block from fashionable Platinum Street lined with boutiques and cafés in the exclusive area of Shirokane. A little tricky to find at first, you descend stairs and pass through the draped noren into the exclusive quiet place. Calm descends over the L-shaped counter for eight and the wall is engraved with a work by calligrapher Mitsuru Fukui stating “Kokoro no mama ni”, which can be translated as “follow your heart”. The simple design is accented with colorful tiles and the walls of the room have been given rounded edges in one of many detailed touches that offer a sense of space and flow. The seasonal Japanese flower arrangement behind the counter is the work of the proprietress, adding to the elegantly clean yet thoroughly warm ambience. Pride of place in the center of the counter is the chef’s oil pot in which he dips the tempura pieces with impeccable timing in keeping with each guest’s dining pace. Here on his stage the chef works in beautiful rhythm with no unnecessary movements. Just a few seconds is what stands between good and great tempura, and the tension of getting the timing right makes even the guests sit up straight in anticipation. The chef dispatches his tempura pieces one after another demonstrating a kaleidoscope of colors and skills so wondrous it is hard to believe that all this is the result of a single cooking method – frying in oil. With the husband in charge of cuisine and the wife covering service and drinks, this formidable pair together orchestrates an unforgettable meal. 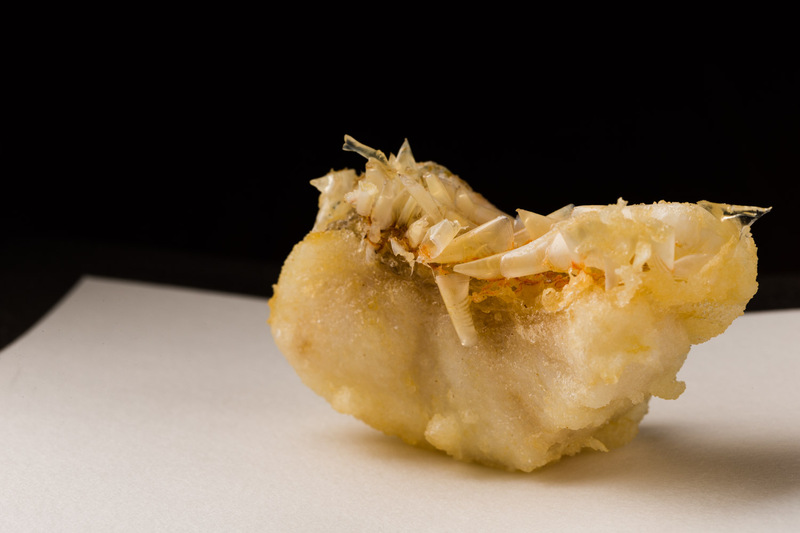 Katsuji Ginya says the job of a tempura craftsman is merely that of ‘assistant’. The reason being that the tempura chef does no more than nudge the ingredients to show the very best in their flavors, colors, and textures. He addresses each of the ingredients meeting them with his crisp, clean techniques, and the simplicity of each dish is what makes those techniques shine. True to Ginya’s words, not a single step in the process is superfluous, and the smart figure of the chef owner standing at the counter is a truly beautiful sight. The creed here is simple: fry to perfection. That means drawing out the goodness of each ingredient to the limit. 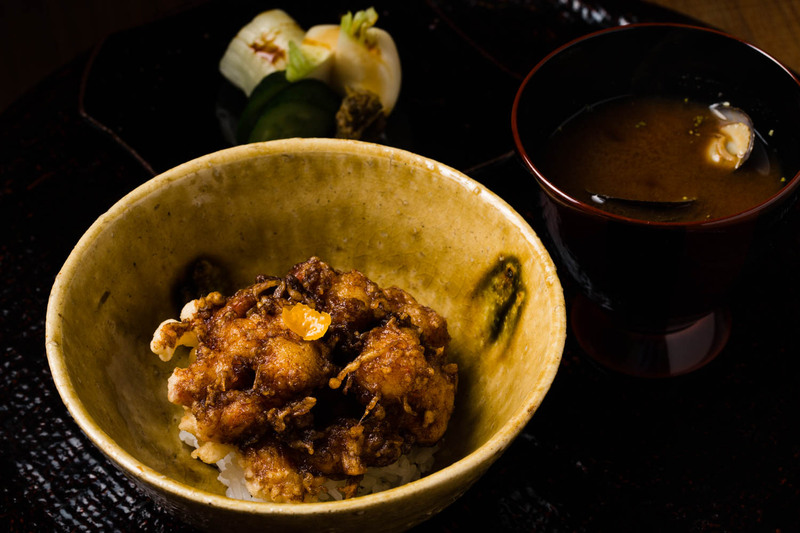 Precisely because the cooking for tempura is simple – taking carefully selected ingredients cloaking them in batter and frying them in oil – the appeal of each item must be enhanced to the fullest. For some items, such as butterbur shoots or fava beans, there is no better method. They yield the best aroma when they are ever so briefly fried to perfection. The key component is the batter. Ginya uses cake flour called Super Violet, preferred as it is light, locks in the moisture and flavor of each ingredient, and pairs perfectly with the Taihaku sesame oil he fries in. Taihaku is a pure sesame oil that is not made through roasting and is instead pressure-extracted. It has deep condensed flavor which draws out the natural flavors of other ingredients. The batter looks simple but in fact contains four different levels within, each suited to different types of ingredients. Ginya sifts the flour several times before mixing, just prior to dipping. In addition, because each diner’s pace differs, Ginya has a number of batter pots on the go at the same time. The rhythmical sound of the wooden paddle hitting the edge of the pots is deep and comforting. Ginya’s signature flavors are made possible through rapid frying at very high temperatures, capturing rich flavor without allowing much oil to be absorbed. His years of experience allow him to assess each ingredient’s condition on that day and in that moment to determine the appropriate amount of time in the oil. The result is superb. The textures are sublime. Shrimp are deshelled and shaped to give the flesh contours which make the shrimp positively tender and bouncy in your mouth. The amadai tilefish is a variety whose scales are edible, and the process of slowly elevating the frying temperature from cool to hot crisps the scales to delicious perfection. The soy sauce-based dipping sauce has extremely refined flavor, prepared daily from freshly shaved bonito from Nishi-Izu in Shizuoka Prefecture. Ginya shaves them to extreme thinness making it possible to create a sauce totally absent of fishy aroma and flavor, which he says customers dip into over and over again. It’s one of those touches that Ginya prides himself on – the joy customers find in the unseen. 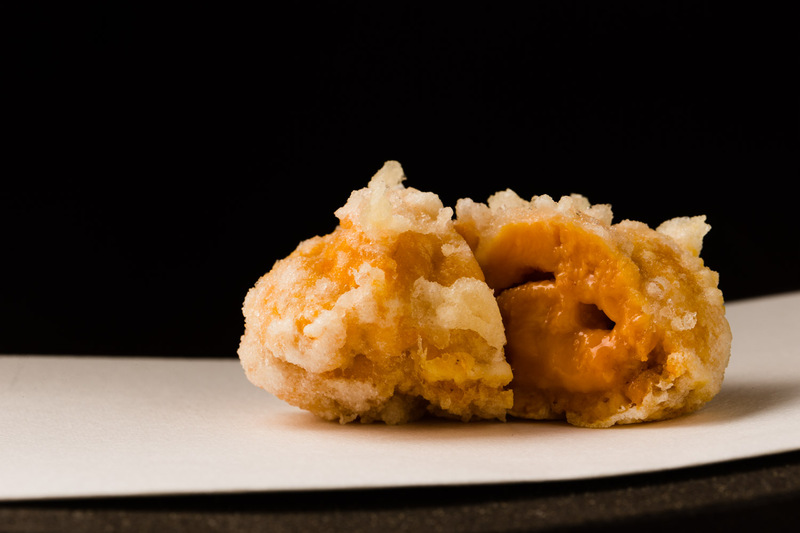 The course at Ginya includes five to six seafood delicacies: the bouncy shrimp; ice goby fish from Akaho, Hyogo Prefecture, each individually battered and fried; uni sea urchin of the kaneki or ogawa varieties; the condensed rich flavor of scallops from a special fisherman in Iwate; and the delicious contrasting textures of soft flesh and crisp scales of the tilefish. 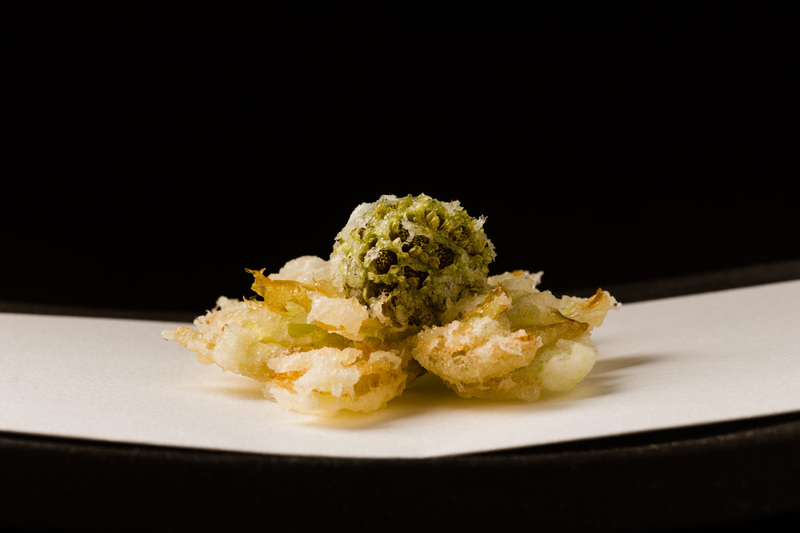 The seafood courses are interwoven with several seasonal vegetable bites of tempura, such as the tasty spring bitterness of butterbur shoots. All of this is complemented by small plates including marinated tuna sashimi and simmered stuffed squid. The finale is a tendon rice bowl topped with a fritter filled with tasty, textured miniature shrimp and the accent of yuzu citrus. Seasonal ingredients are primarily sourced through Tsukiji market each morning, but specialty ingredients are also sent direct from around Japan. Exquisitely fresh scallops arrive from Yonezaki, a small town in the Rikuzentakata region of Iwate Prefecture. They are sent by a fisherman named Mr. Konno who ships them immediately after collecting them each evening. 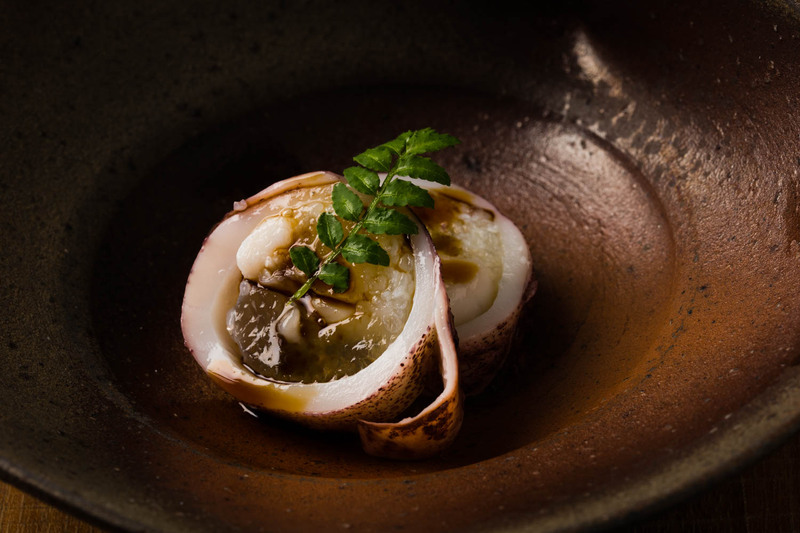 The special relationship was formed when Ginya volunteered after the earthquake and tsunami disaster in northeast Japan in 2011, and means that Ginya is virtually the only place in Tokyo these precious scallops can be savored. The chef also invests a lot of effort into sharing the goodness of food and the distilled beverage called shochu from his native Kagoshima. 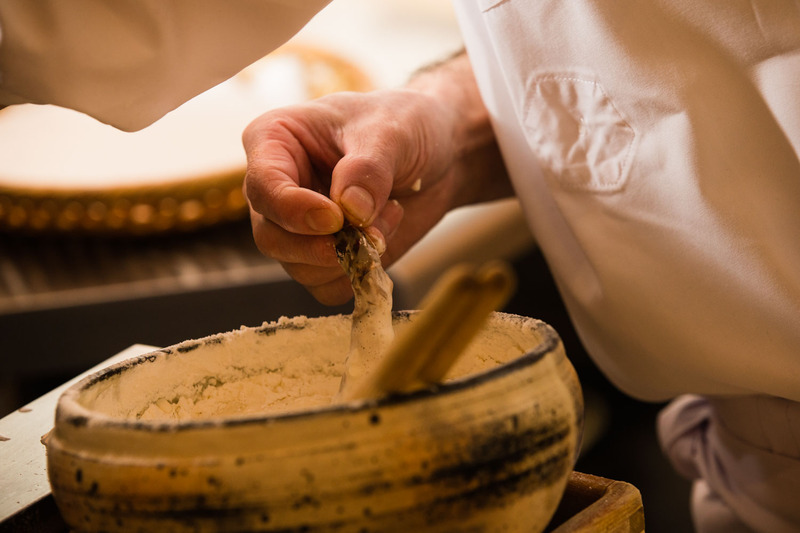 The base for his tendon tempura-topped rice bowls all comes from a childhood friend who farms rice in Satsuma Kawauchi. Every month Ginya takes delivery of freshly polished Hinohikari rice which is steamed in a traditional iron pot called hagama. The salt is sea salt from inland Australia - an extremely rare item that truly enhances the umami of each tempura bite. The sake of choice comes from Nishikiya Brewery in Miyagi Prefecture, and the whole selection is designed to complement the meal. 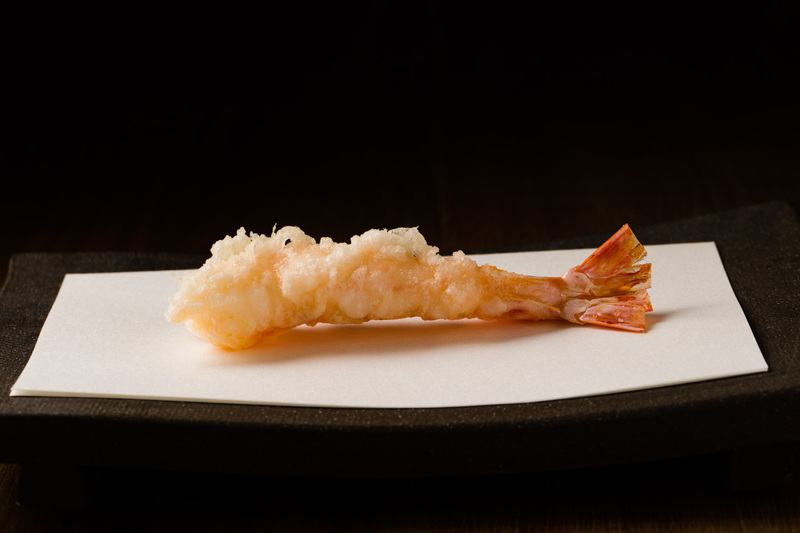 In fact, the line-up is diverse so as to satisfy guests’ requests and even includes wine to complement tempura. Chef owner Katsuji Ginya was born in Kagoshima on the southern island of Kyushu in 1970. He was certain from childhood that he wanted to be a chef, and with that conviction entered Kagoshima Josei High School – the first high school in Japan to offer a specialist cooking department. 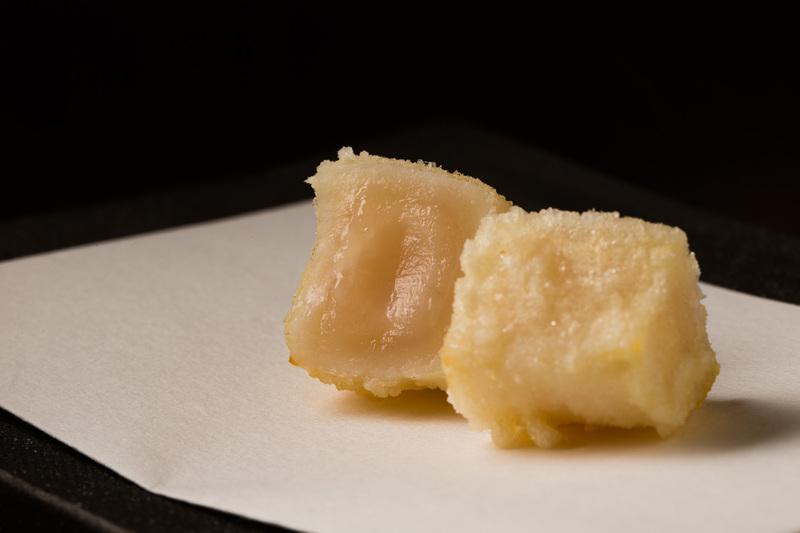 His tempura dining experience at Tempura Funabashiya at age 19 left such a deep impression that of all the possible options for a chef he decided to walk the tempura path. He talks about being captivated by the simple, sincere nature of the work. His training began at Tenichi, a Ginza tempura institution established in 1930. There he built and polished his skills over 22 years. During that time he worked under Chef Yoshiro Iwai, now known for his famous restaurant Tempura Iwai also located in Ginza. The duo even works together as the “Tempura Brothers” for mother-line, an organization of chefs based around the capital offering support to the disaster-struck regions of northeast Japan through exchange will locals on the theme of food. The connections have led to many local ingredients finding their way to Tokyo, as with the delicious scallops Ginya showcases in his meal. Ginya went independent in 2012 and up to that point and ever since he has been an expert with a singular focus on tempura. His only thoughts are for holding his ingredients in the highest regard and serving them at their most delicious. He is a modest man with unwavering conviction, seen in his own view of himself as merely an assistant in the role of tempura chef. His food is not about putting himself on the plate but letting the ingredients shine. His speedy movements are also in reverence to the ingredients, locking in the moisture for tempura bites that burst with flavor. 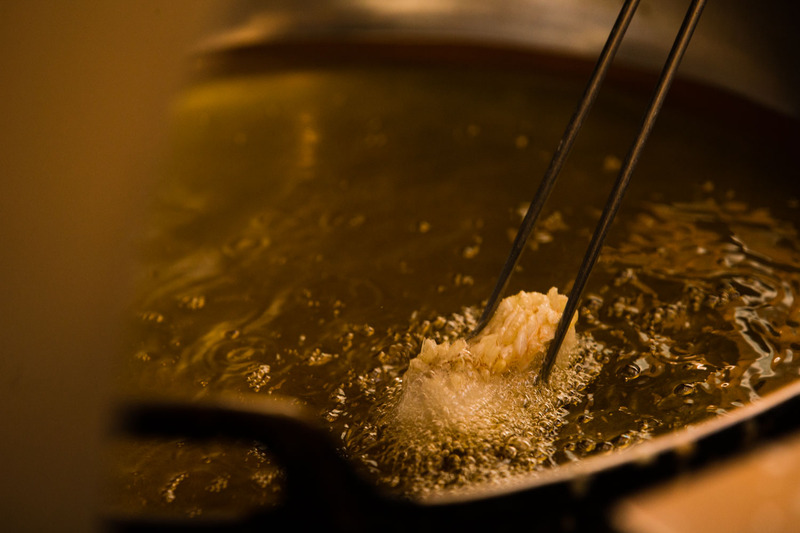 Cloak them in batter, fry them in perfectly readied oil – nothing more, nothing less. On days off, Ginya and his wife enjoy dining at various restaurants. Certain there is always room for improvement, he studies each day, seeks new stimulation and does whatever he can to evolve into an ever-better tempura chef. Katsuji Ginya is driven by the motivation to faithfully pursue his work every day. In recent years he has enjoyed an increase in overseas guests who are fascinated by the sight of tempura cooked à la minute. They eat with great interest and have many questions. Ginya says he hopes to continue to beguile customers, whilst also seeing their visits as opportunities to share authentic traditional culture. He also talks of simplifying the interior into an even more elegant space. Just as with his cuisine, he clearly takes great satisfaction in polishing and refining to remove unwanted parts. 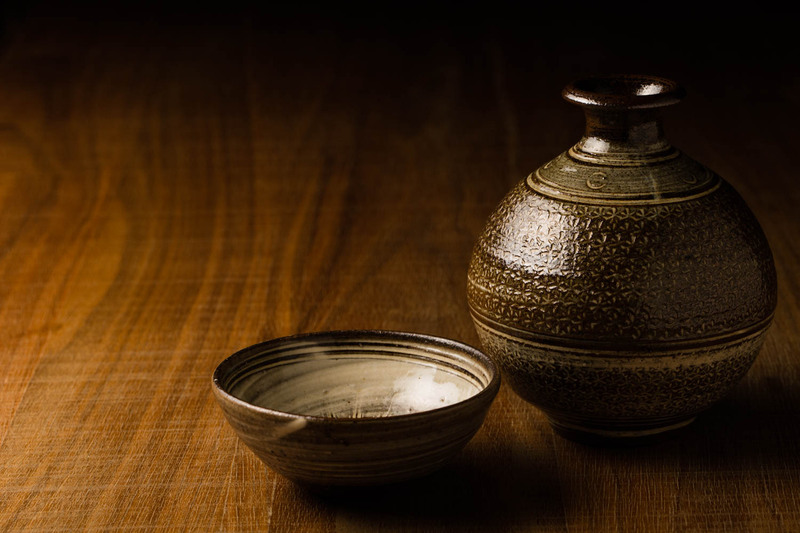 Ginya has a soft spot for the works of Taki Nakazato, whose creations emerge from Ryuta-gama kiln in the famous porcelain-making region of Karatsu, Saga Prefecture. Characterized by a sense of the modern, Nakazato has gained a large and broad following with simple yet elegant pieces showing flowing personality. 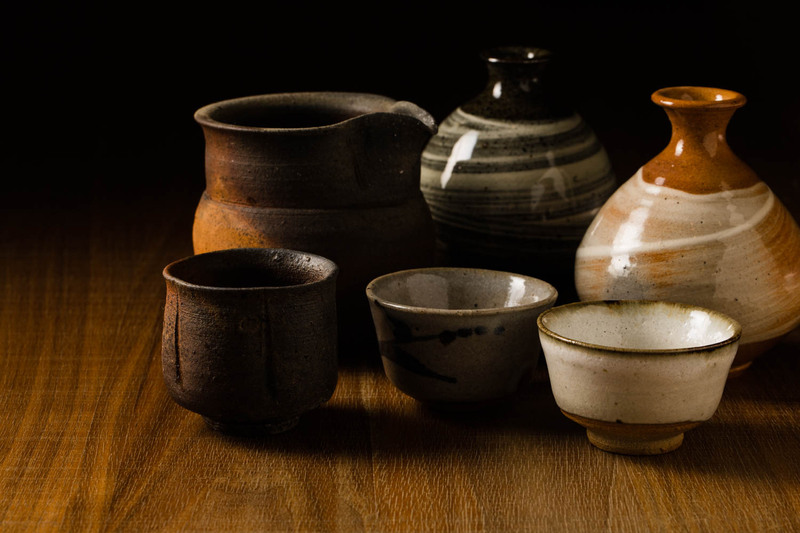 From miniature sake cups and beakers to larger dishes for plating cuisine, Nakazato’s pieces are found throughout the Ginya dining experience. While each piece very much has its own personality and presence, Nakazato’s tableware has the ability to highlight any dish plated on it.